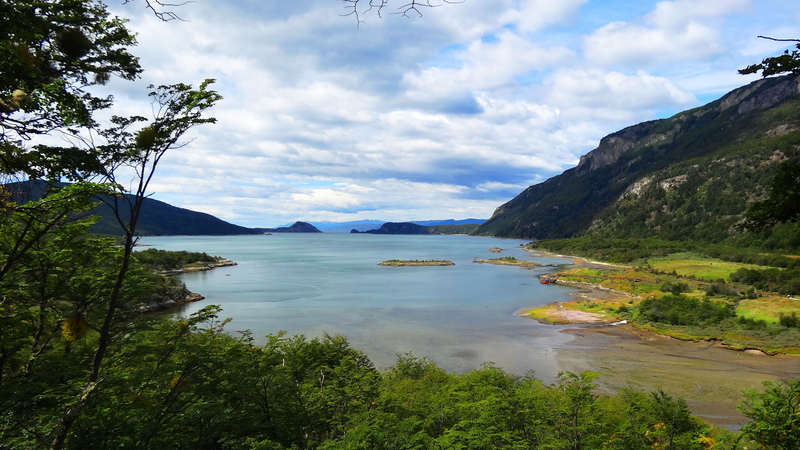 Parque Nacional Tierra del Fuego Argentina! 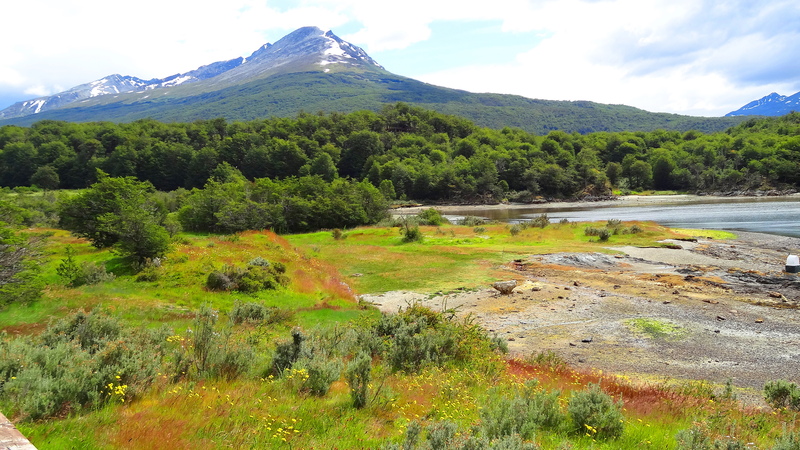 Today we hiked all over Tierra del Fuego National Park. This park shares it’s border with Chile and contains the southern tip of the Andes. It is almost 70,000 hectares. 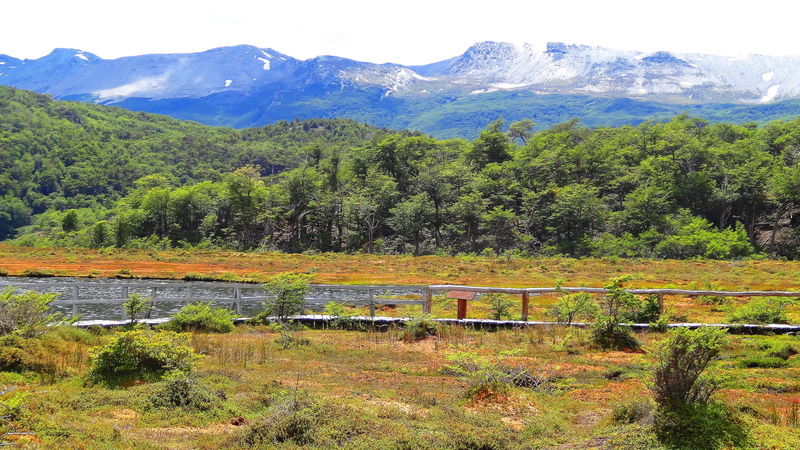 The park is Sub-Antarctic forest filled with ancient peat bogs, lenga and evergreen Coihue de Magallanes forests. It is a visually distinctive park and forest. 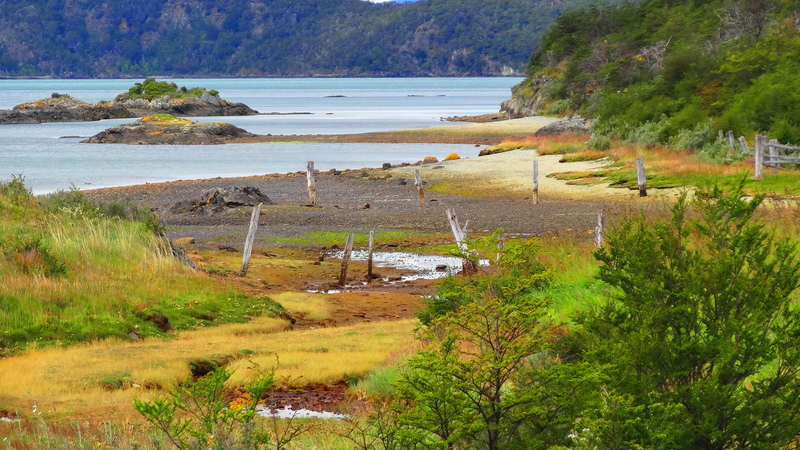 Check out some photos of this stunning southern end of Patagonia, el fin del mundo. 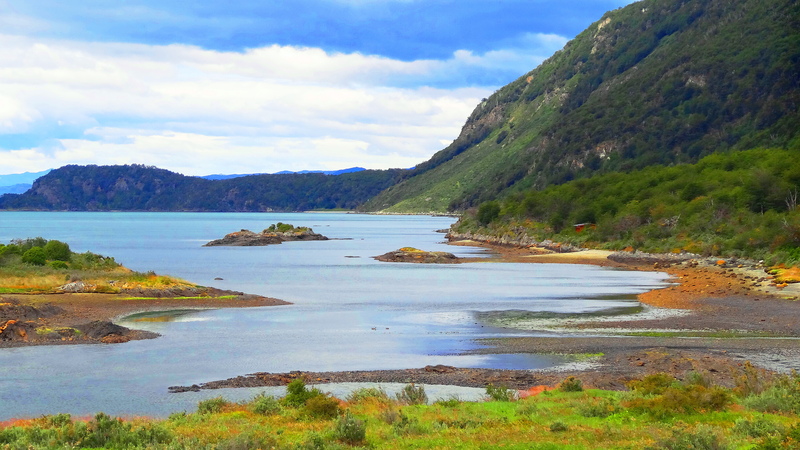 ← Reflections on The Beagle Channel Today! I like that woodpecker shot! I have never seen such a persistant woodpecker! Thank you! You are a kind & talented person so that means a lot. Thank you! Thanks! He was so noisy and unafraid! 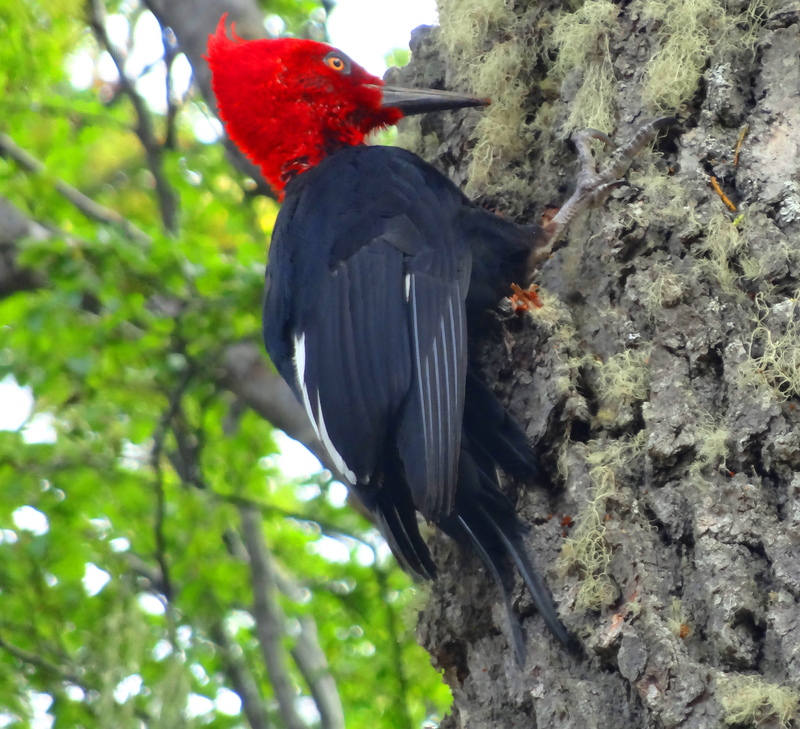 What a beautiful woodpecker – I do not think I ever saw one in person. Same with me! Big treat for me & thank you! As soon as I seen your post I immediately clicked on it because I was excited to see where you were taking all of us to next. Beautiful photos, that woodpecker really is big. Loved the post! You are a peach! Thank you very much! This is so wonderful… thank you for taking the time each day to share with us! I love the 5th photo down. Everything looks so beautiful and so interesting! What is the temperature? Yesterday, when these photos were taken it was nippy when the wind came up, low 50’s, but pleasant for hiking & thank you! Beautifully put, but then you can write can´t you!!! Thank you so much! He was hilarious! So noisy and unafraid!!! Thanks. Beautiful! It looks so remote, I would sorely hate to get lost out there, but sometimes you have to get out a ways to really see the splendor! Who needs to buy a GPS when they have Jim? Lol! Knowing that pictures never do justice, this place must have been stunning! 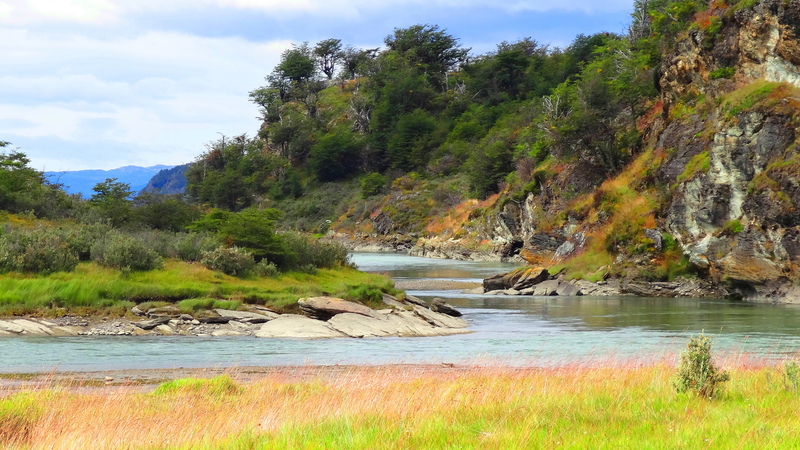 All of Patagonia must be seen to be believed. Just absolutely gorgeous. It must be like being married to a gorgeous person, you almost stop noticing after a while! It looks so beautiful there! Love the woodpecker! It is stunning & thank you! That woodpecker photo is fabulous, so beautiful colors……..it looks if you can almost touch him ! We probably could of, but he probably would have given us a good, solid peck! Yes awhile back and loved it! Oh, how interesting! I enjoy meeting authors I admire! Cheers to you both!!! This >> (all the natural beauties we are gifted with, which you have presented in the last few days) ‘is’ the very reason why we ‘must’ protect the wealth of nature put in our trust by the Almighty! 🙂 Fae. Yes it is a wonderous planet, as are all the creatures on it! What a wonderful day of hiking! I’m not sure I’d ever want leave such a grand place. Just gorgeous. Exactly! It is very hard to leave! This is so beautiful, love the woodpecker. It was beautiful as was the noisy woodpecker!!! Thank you! He was a looker!!! Again, the colour. Such STUNNING colour in nature, captured by you. You are very kind and it is very appreciated! Breathtaking scene! What a stunning photo of the woodpecker!!! You have to go! I want to see your photos!! !